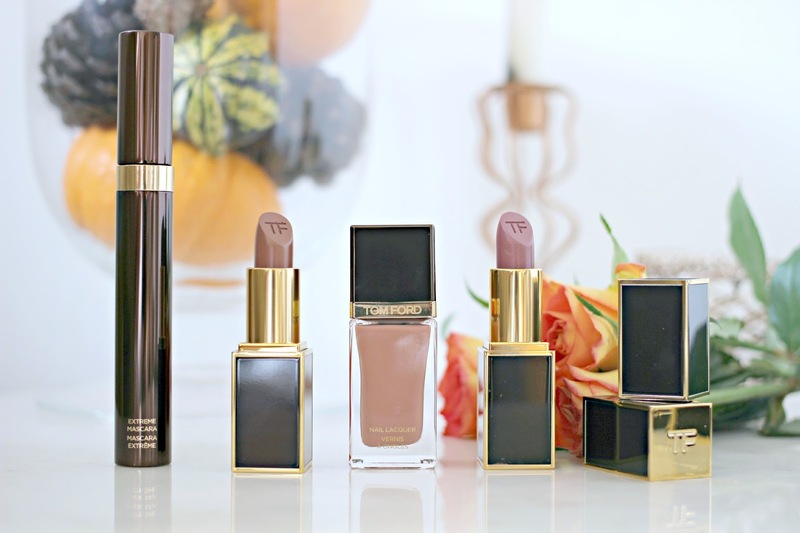 There’s something decidedly old school about Tom Ford makeup. Whether it’s the luxe black and gold packaging which evokes thoughts of the couture ranges from the man himself, or the timeless colour range of the products which feels as though they were designed with me in mind. 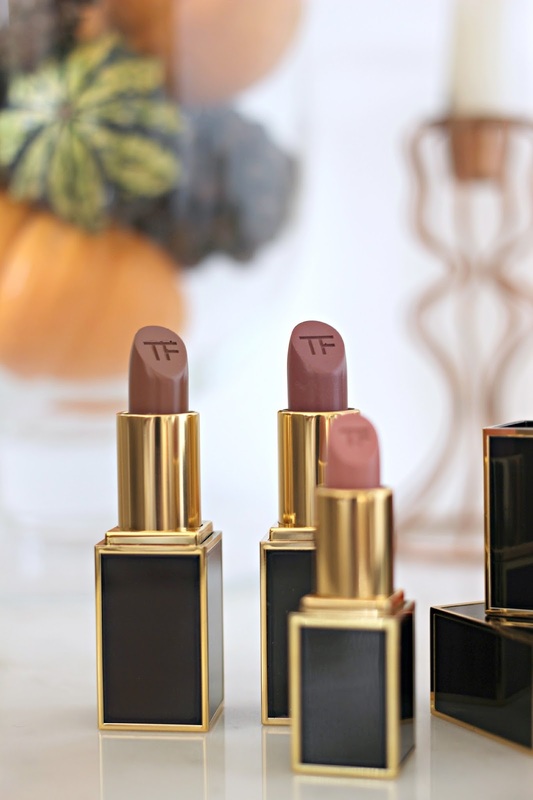 Perhaps that’s the magic of Tom Ford beauty – it’s luxurious, almost inaccessible, and yet you instantly feel as though you were meant to wear it. 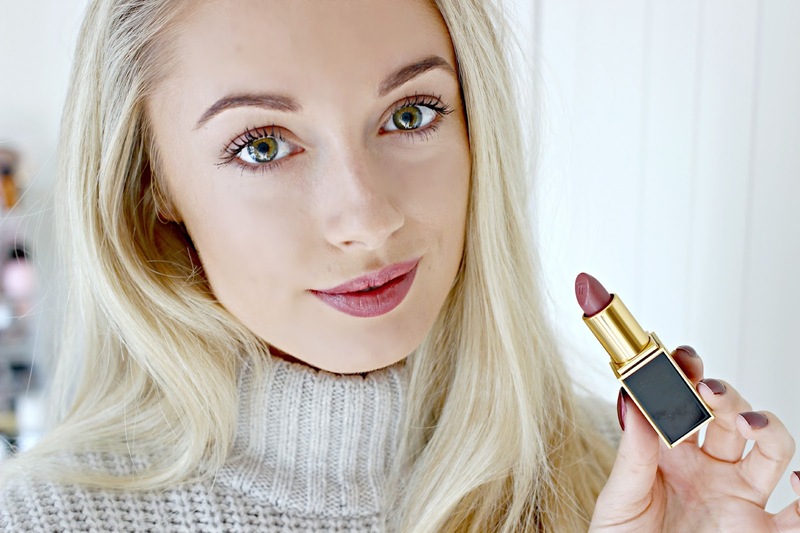 It’s more pricey than other designer beauty ranges, so I just had to put the products to the test to let you know if they’re worth the splurge! I began with the mascara (applied to the left eye in the image above), which promises to transform lashes with optimal glamour and drama. 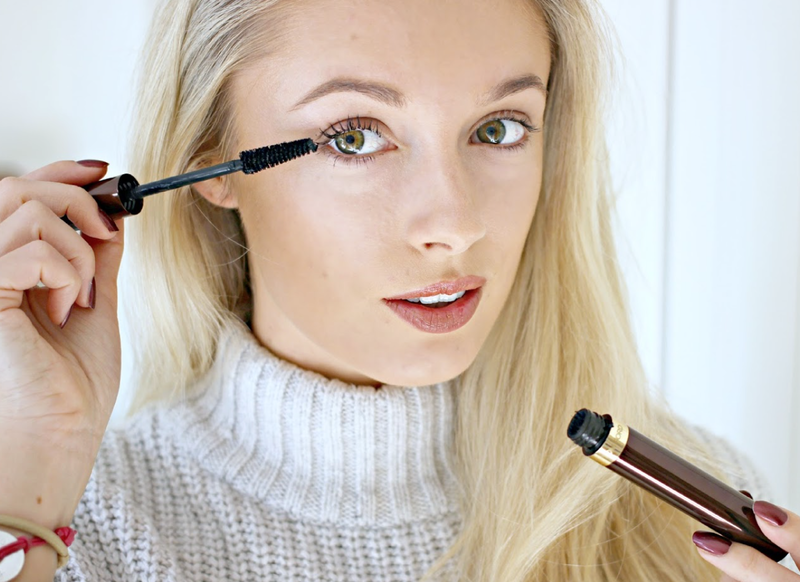 I have small eyes, so rely on mascara to intensify my makeup look, and it has to be long lasting! 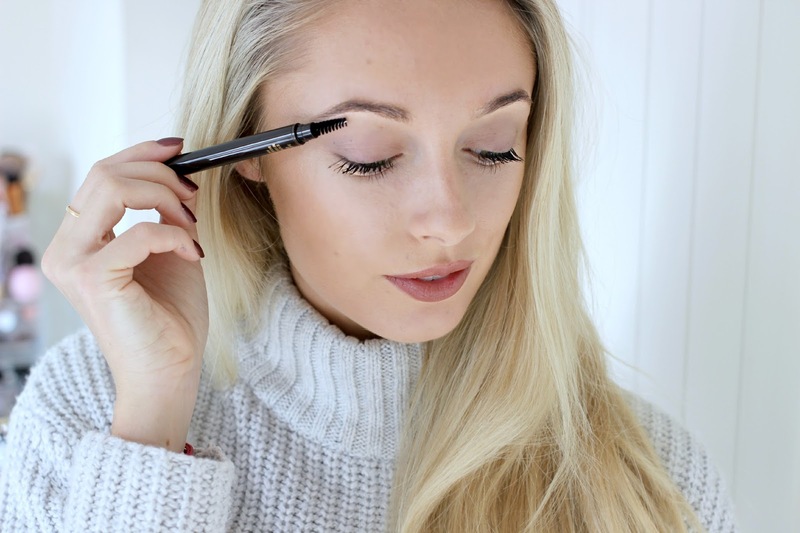 I found the wand very easy to use, it’s tapered and has a slight angle, and delivers plenty of the mascara to each lash, instantly adding length and volume in just a couple of strokes. 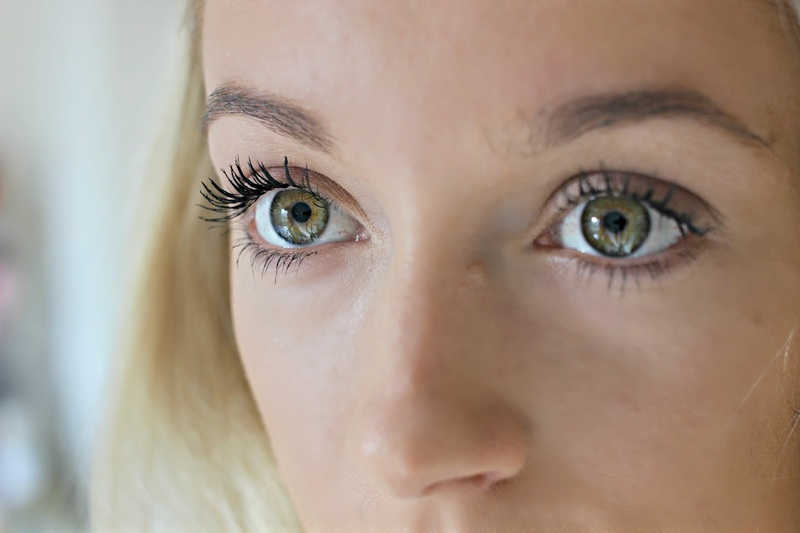 The finished result is a dramatic yet delicate lash, and thankfully they lasted all day with no crumbling or smearing, surviving even my runny eyes on a chilly Autumn morning! Before we continue, I must apologise for the airbrush effect that I’ve used for my skin in these photos! If you watch my vlogs you’ll have heard me complaining about a strange reaction that I’ve been suffering from on my cheeks, and I didn’t want this to detract from the makeup which I wanted to focus on, so I decided to just blur it out! Back to the brows. I used the Tom Ford Brow Sculptor in the shade Taupe. 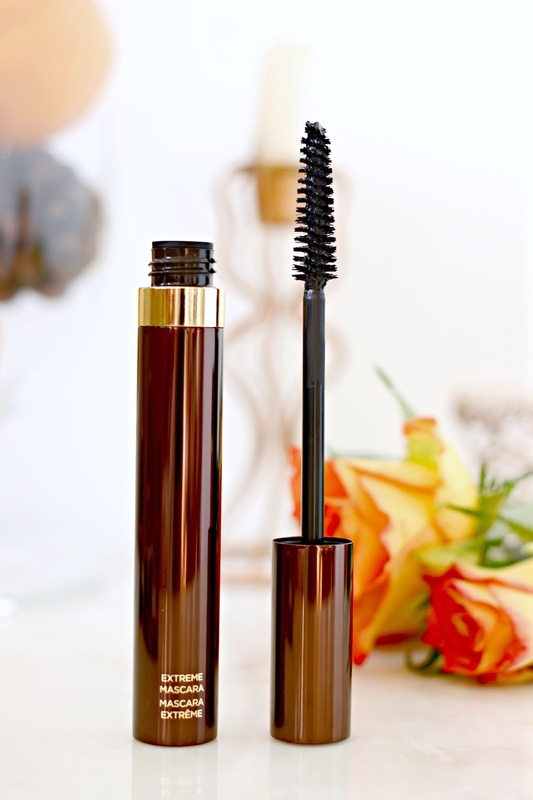 I’m not typically a fan of this type of brow pencil – a calligraphy type waxy pencil tip, I usually prefer a very thin pencil type brow product like the Anastasia Brow Wiz, but the Tom Ford Brow Sculptor changed my mind. 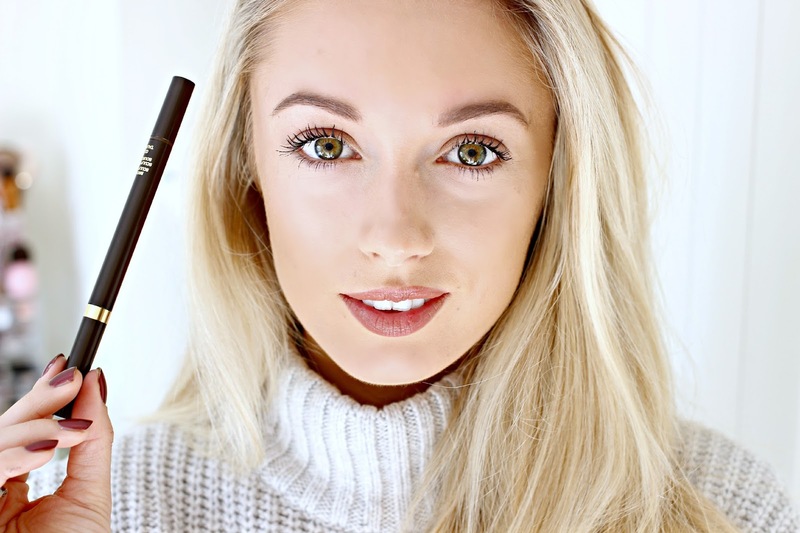 Easy to apply and create natural looking shape and depth to the brows, I found the colour match incredibly natural, and even in the areas where my brows are very sparse, the Brow Sculptor added colour and definition in the most natural way. The packaging is stunning, and in the opposite end is a handy spoolie to neaten brows once you’ve finished shading, as well as a sharpener hidden inside. Ah the lipsticks! This is where I truly feel that the beauty products were made with me in mind! 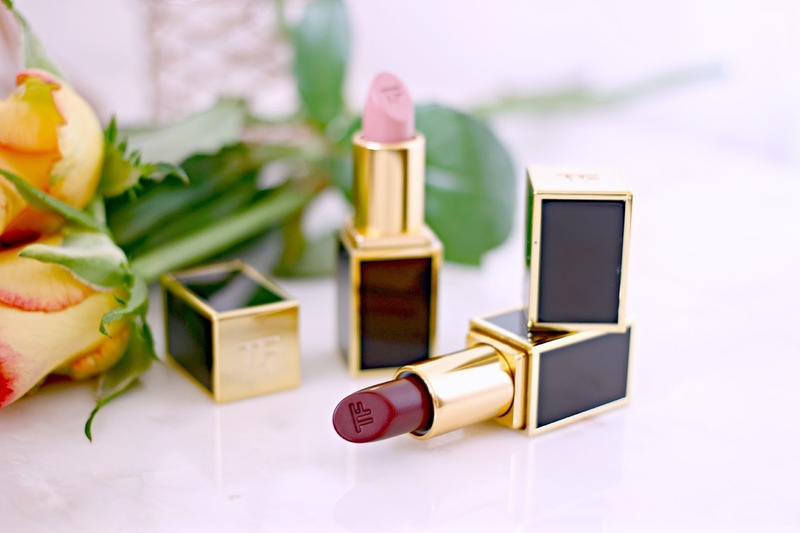 Tom Ford beauty has all of my favourite lip shades covered, for an everyday but glamorous lip colour, the Deep mink and So Vain shades are amongst the most beautiful lip colours that I’ve ever tried. The colour payoff is gorgeous – an intense colour payoff with a surprisingly balmy soft texture. A natural shine but without being glossy is a nice change to my usual matte finish, and much more comfortable to wear now that the weather is getting cooler. 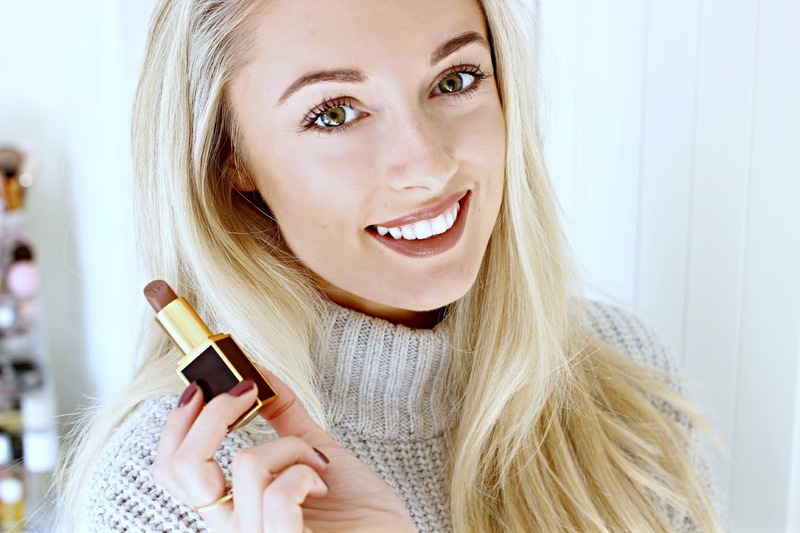 At £38, they are most definitely a splurge for most of us, so these incredibly wearable shades are the ones that I’d be most tempted to splash out on – they are timeless classics which add a priceless elegant finish to even the simplest of makeup looks. And finally, Lips & Boys. I mean, what a great name! They’re hard to get your hands on, but with 50 shades to choose from it’s worth searching for them because you’re bound to fall in love with a shade or two! A personal favourite is this deep red, plum, autumnal shade named ‘Wes‘. It’s fortunate that it’s so tiny, perfect for popping in your clutch bag – as the lasting power is not fantastic. It’s my only fault with this lipstick, and when you’re used to matte lip products which don’t need touching up for hours, it’s more noticeable when wearing a glossier shade that needs frequent reapplication. The colours work well when you blot with tissue, and this helps with the lasting power without softening the colour. Another beautiful shade which i’ll be picking up more frequently when we reach spring time is Addison – a very girly pink shade but without the ‘cheap’ look that so many pale pinks can give. 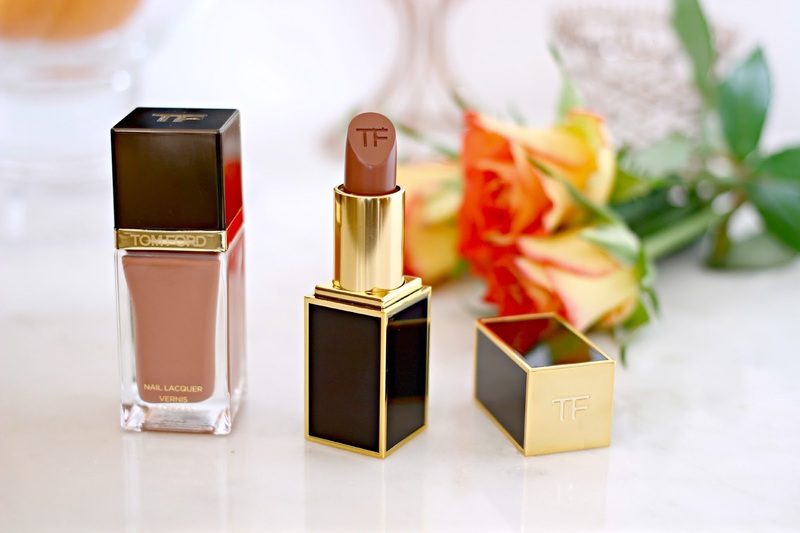 So often I avoid the girly shades, worried that they detract from an otherwise elegant makeup look, but Tom Ford have developed a shade that ticks all the boxes for a perfect pretty shade while still looking classic, and beautiful. Also in the images above, is the Tom Ford Nail Polish in the shade Toasted Sugar. While I’m yet to apply it (never have I regretted my Shellac decision so much!) the shade is beyond beautiful, and destined to become my everyday colour. Overall, a luxurious and beautiful range, from the packaging to the product inside. Tom Ford has encapsulated the exclusivity and desirability of his couture ranges in his beauty range and it’s most definitely one to your ‘must try’ list! These products were kindly sent to me for review purposes and so that I could share them with you! Find out more on my Disclaimer. 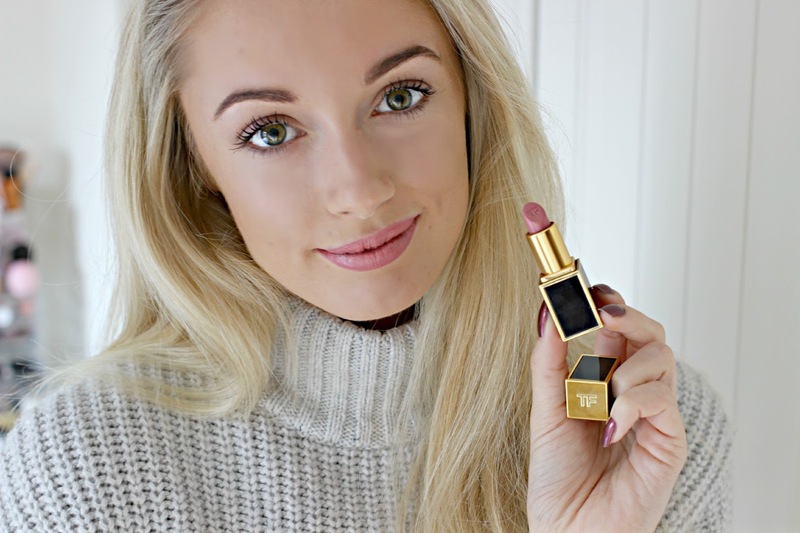 Have you tried Tom Ford beauty? Which products would you most like to discover?